A blockchain-based company is launching a content rewards platform that compensates creators – and says its platform boasts compelling advantages over “exploitative” mainstream rivals, all the while addressing flaws in other crypto-driven sites which offer a similar concept. UUNIO wants its service to threaten the likes of YouTube, where it claims some content creators are barely given $500 even if they amass a million views. It is also railing against internet giants such as Facebook, which makes billions of dollars a year on the back of personal data and advertising – wealth which is never shared with its users. Copyright infringement is also an issue, with fledgling entertainers all too often finding their work has been ripped off by other accounts. 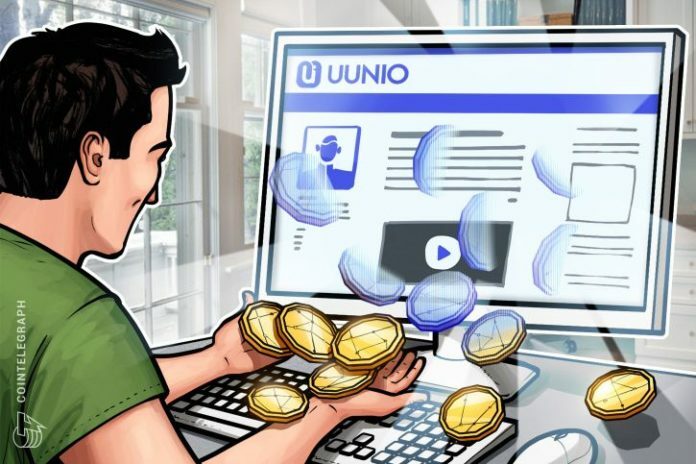 But perhaps most interesting is UUNIO’s plan to challenge other blockchain platforms which pay people to post online – and Steemit is one of the networks firmly in the company’s sights. According to UUNIO, Steemit’s upvoting system is flawed because the power carried by a single vote is determined by the money held in a user’s account. The company says this has left smaller content creators struggling to earn decent compensation unless their work is recognized by a “whale” – someone with significant Steem Power. To compound the problem, Steemit only pays out rewards for the first seven days that a post is live, meaning creators of evergreen viral content could potentially miss out on years of earnings. UUNIO’s answer is to give equal voting power to all – eliminating the risk of self-voting and ensuring that a few users cannot control the fates of many thousands more. The company claims a large chunk of its community would need to work together to abuse the system – meaning there is less chance of manipulation. Its platform would also do away with the concept of a compensation period, with UUNIO raising the fanciful idea that creators could use the annual earnings on timeless content for a pension. In time, the startup hopes to build “a new world where a lot of creators can get fully rewarded” – furnished with a marketplace where content can be bought and sold without commission. UUNIO would be supported by a suite of other decentralized apps (dApps) which aim to shake up online reviews, the world of news, and investing in ICOs. A cryptocurrency wallet called CLET would be used for depositing and withdrawing UUNIO tokens, as well as doubling up as an exchange. Upon launch in August, the company also hopes it will become a “comprehensive ICO platform” where investors can participate in initial coin offerings – or simply transfer coins to friends. Another dApp called UUNIREVIEW aims to tackle the dishonesty seen in some online testimonials, with the company promising “honest reviews without interference from sponsorships.” Users would receive rewards whenever they write a review – irrespective of whether it’s good or bad – and the startup hopes this transparency would give consumers the “sincere and useful information they need” to make purchasing decisions. This would be complemented by UUNIPRESS, which would go head to head with media outlets that create “exaggerated articles just to obtain more traffic.” The company hopes this platform would be home to reliable news articles, with writers rewarded in tokens for “accurate and insightful” content. Two tokens have been created by the platform. While the UUNIO token is an intermediary currency between its ecosystem and exchanges, UNIFUL tokens would be used for purchasing content, making donations and ad spending. The company’s token sale will run until June 30.